Dragonflies are beautiful to look at, but have you ever thought about what they do for us? First of all, it’s worth noting that they control the insect population. Their insatiable and highly successful predation of airborne bugs like flies, midges and mosquitoes means that there are far less in the air to buzz around us, to bite us and to spread diseases. Dragonflies are also excellent news for gardeners as they munch on common garden pests like aphids. There’s never been a better time to check which dragonfly species live in your area and find a way to tempt them to your garden pond. Everyday bug eating aside, dragonflies have also been the incredible inspiration for a huge amount of technology. The aerodynamics of their wings and the amazingly complex way that they move them to achieve such exquisite flight has been the focus of much scientific study, and there have been numerous robots and drones designed and produced that mimic their flight. 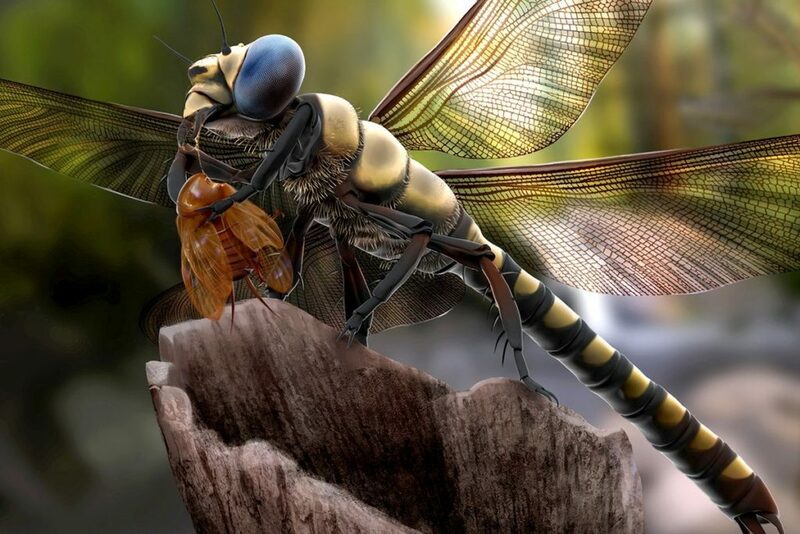 The Ministry of Defence is one such organisation that is looking into dragonfly-inspired tech. Small drones called skeeters’ are currently in development, equipped with flapping wings just like the insects themselves. These drones are designed for intelligence and reconnaissance missions: to go into environments that other drones can’t. Carrying surveillance equipment, weighing less than two pound coins and capable of speeds up to 74 kilometres per hour (46 miles per hour), these drones are super high-tech – but still not quite as good as the real thing!